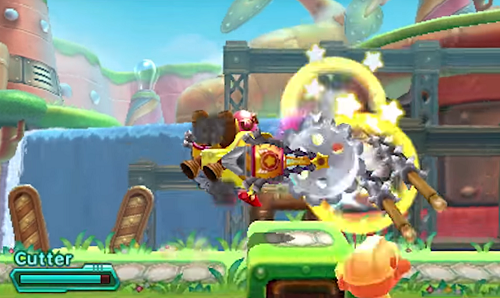 Kirby Plant Robobot has been officially announced for the Nintendo 3DS with a release date of June 10th​ 2016. 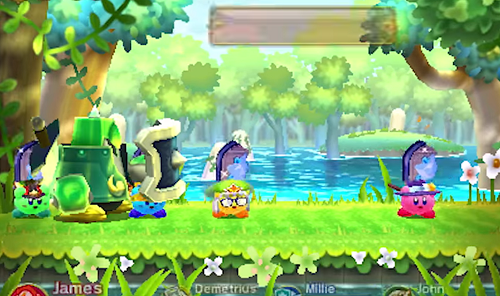 Kirby's latest adventure will be familiar to fans of the series as you bounce between the background and foreground gobbling up enemies and absorbing over 25 copy abilities. The game has a few twists up its sleeve though. The main attraction being that Kirby can now use his enemies tech against them! Jump into the Robobot Armor and become an unstoppable force. The Robobot Armor grants Kirby brute strength, allowing him to smash through obstacles and use propellers to reach high places. There are actually ten different modes to the Robobot Armor as it can copy enemies powers just as Kirby can! There is also a new 4 player co-op battle mode called Team Kirby Clash where you and your friends can team up to take down powerful bosses. Each player can take on a specific role to help support each other as you complete quests. On top of that, Kirby is always ranking up, allowing you to accept even tougher challenges as you progress. Kirby Planet Robobot will also support amiibo. 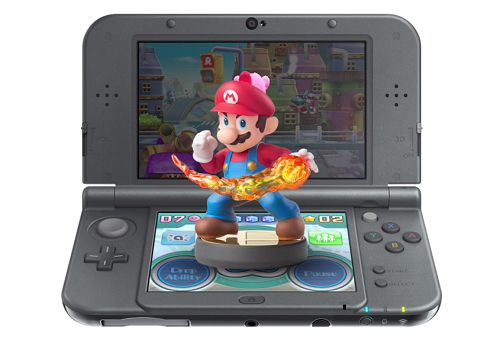 Tap the Super Mash Bros. Mario amiibo and Kirby will be granted fire power. Tap the Link amiibo and now Kirby has a sword ability. If you'd like to see Kirby Planet Robobot gameplay, check out the latest Nintendo Direct right here! The footage can be found right at the very end of the presentation. 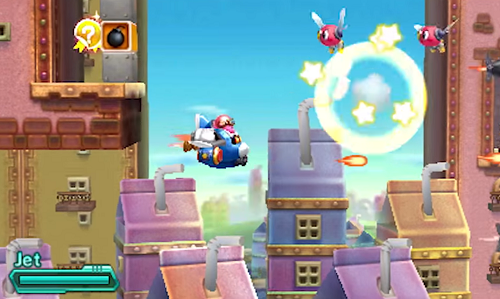 Do you think the new Kirby Planet Robobot for Nintendo 3DS looks good? Let us know in the comments! The ability to chow down on the bad guys. It's his pink & fuzzy cuteness that really rocks. Kirby's coolest power is being able to steal powers from other people. He has so many powers, how can you choose only one?